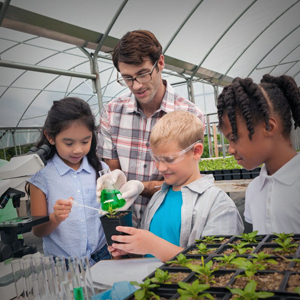 BioNetwork is dedicated to connecting industry skills with education through a range of career-focused classroom activities, special events, and workshops for students and faculty across North Carolina. Our events are held at the host's location which can include both public schools and community college campuses. BioNetwork offers specialized networking events and professional development workshops for educators. These events provide the opportunity for educators to explore new interactive ideas for their students and to engage with others in the field. BioNetwork specializes in the creation and implementation of large outreach events. These programs are designed to make it easy for community colleges to be recognized as a local STEM destination. Example programs include: middle school forensic events, STEM summer camps, high school career exploration, and family science nights.